We have to start at home if we want to make changes in the world. We have to teach our children to be sustainable and hope and pray it spreads to others. We can make a small impact in our own lifestyles. My kids and I like to clean up the wood and creek behind our house. Lots of trash gets swept away during storms and we don’t want it to impact the lovely wildlife we so enjoy seeing there. We clear away plastic from our neighborhood pond every so often. We don’t want the frogs, turtles, and fish to get sick or hurt. We recycle as a family. We pay extra for the recycling bin that comes every other week on trash day. We try to remember to bring our own reusable bags when we’re shopping. We try to reduce our plastic use. It’s really hard and is a conscious decision that our society makes really difficult. We like to read nature books – like Rachel Carson, Barbara Kingsolver, Wendell Berry. We love being outside, reading poetry. Some favorites are by Mary Oliver, Seamus Heaney, Christina Rossetti, Robert Frost, and Jane Yolen. Reduce. Stop receiving junk mail. Don’t buy what you don’t need. Purge and minimize what you do have. Be pickier and choosier about your purchases. Do you really need it? Reuse. We throw away so much that we could reuse in some way. Donate, sell, or upcycle. Start a share co-op/library for items you don’t use often. Plan a clothing swap with your neighborhood or town. Get crafty with hand-me-downs. Recycle. If your community doesn’t do a recycling program, ask about starting one. Sort and carry your own items to the nearest center. In some places, you can even get paid for returning bottles or cans! Garden. Gardening is a wholesome family activity and teaches kids where our food comes from. It’s so satisfying to eat beans and salad from your own soil that you made yourself! If you don’t have room, you can use containers or find a community garden space. Conserve energy and resources. Get your windows, appliances, HVAC, gas lines updated or replaced for safety and energy efficiency. Use electric lawn equipment instead of gasoline powered. Save water with a dehumidifier and use that to water plants. Turn off lights when not in use. Replace bulbs or fixtures with high efficiency lights. Run dishwasher and wash laundry at night. Hang laundry to dry. Get a programmable thermostat and set it lower. Open windows instead of using air conditioner when it’s mild out. Less packaging. Buy items with less packaging that you don’t have to throw away or recycle. Bring your own cloth bags when you shop. Don’t use the plastic baggies for produce. You can use reusable lightweight mesh baggies instead. Use glass or stainless water bottles and beverage cups instead of throwaway styrofoam. Non-toxic cleaners. Harsh cleansers and soaps go down the drain and often pollute public waters. They’re also not healthy for us to breathe in the fumes or have the residue on our skin. Make your own cleaners with vinegar, baking soda, and essential oils. We often make our own laundry soap. Combine errands. Reduce emissions by having one day or two each week to go out and do shopping, extracurricular activities, and errands. Walk or ride bicycles (or use public transportation). Most towns have bike lanes. Some towns offer deals once a month to cyclists and pedestrians to encourage this lifestyle. Get exercise and fresh air while running errands or shopping. Eat and shop local. Support local business and sustainable practices in your community. Eating slow, local, in-season foods is healthier and better for everyone – the farmer, producers, shipping, air quality, ourselves. Shopping at local farmers markets is fun! Read more about sustainable, local, in-season eating in this book. Remember that every purchase has an environmental impact and is a political decision. With school budgets growing tighter, the modern teacher needs to be resourceful in securing supplies for the classroom. Teaching is a demanding job and creating a lasting impact on students is difficult without the proper resources. Luckily, there are a few tricks for getting around high-cost items, and still give your kids the best experience possible. If your school won’t give you the budget to buy non-standard paper items, there are ways to produce them yourself. There are templates for printing graph paper, various lined paper or coloring sheets online. You will only be printing the amount you actually need, so this is also a good way to reduce waste. There are also plenty of worksheets and workbooks available online for free, or a fraction of the cost, of physically published ones. You can even find fun craft time ideas to engage your students. Just make sure you’ve got the ink and the budget for high-volume printing! Smartboards are one of the technological staples of the 21st-century classroom. They make introducing concepts to your students more visually appealing, interactive and internet-friendly. Unfortunately, they cost a fortune. If you want to provide your young minds with this dynamic teaching device but your school can’t afford it, there’s a surprisingly easy way to make it yourself! This is probably a good idea even if your school can afford a real one. All you need is Bluetooth, a Wii controller, an infrared pen and the correct software. Depending on what grade level you teach, you could include your students in the process as a lesson in itself. The future is crowdfunding! Many people are sympathetic to the plight of the teacher and the lack of funding, parents especially. Everyone wants what is best for the children, right? There are many platforms like GoFundMe and Kickstarter that allow you to reach out to the public and accept donations online. You can create a wishlist on sites like Amazon that allow people from anywhere in the world to send you what you need. You may be amazed at the support you receive. This generosity and community spirit can be motivational for you and your students, as well. Coming together is one of the strengths of humanity. It may seem counter-intuitive, but investing in electronic alternatives to traditional teaching supplies could save you money long-term. Rather than buying more paper, writing utensils and books every single year, a one-time investment in tablets or laptops for your little learners could replace all of these outdated expenses at once. They could also save your students from future back problems- no more huge backpacks filled with heavy books and supplies! Books become PDF files, essays are typed and submitted online and even those bulky, expensive calculators are replaced. There are many applications for in-classroom educational games that students participate in together, as well. This flexible technology makes the possibilities for learning endless. As the times get tough, the tough get creative. Children are the future, so their education is imperative. Please consider these options when planning for your next school year! Easter is the most important and oldest festival of Christians, celebrating the resurrection of Jesus Christ and held (in the Western Church) between March 21 and April 25, on the first Sunday after the first full moon following the northern spring equinox. The Orthodox date for Easter Sunday often occurs at a later date than the date observed by many western churches. The holiday is also known as Pascha. Constantine wanted Christianity to be totally separated from Judaism and did not want Easter to be celebrated on the Jewish Passover. The Council of Nicea accordingly required the feast of the resurrection to be celebrated on a Sunday and never on the Jewish Passover. Many Ancient cultures viewed eggs as a symbol of life. The Easter egg is hard-boiled and often dyed red to symbolize the blood of Christ. It was an important symbol connected with spring fertility rituals in many early civilizations. Many Greek Orthodox Christians rap their eggs against their friends’ eggs and the owner of the last uncracked egg is considered lucky. In addition, in some areas, eggs were forbidden during Lent; therefore, they were a delicacy at Easter. Some speculate that early missionaries or knights of the Crusade may have been responsible for bringing the tradition to the West. Another important symbol associated with Easter is the lamb. The lamb comes from the Jewish Passover, where each family killed a lamb as a sacrifice. When Christ became the Passover Lamb for everyone, the lamb became a symbol for His sacrifice. It is often depicted with a banner that bears a cross, and it is known as the Agnus Dei, meaning “Lamb of God” in Latin. Easter word origins are complex. The word may have come from the Anglo-Saxon Eeostre or Eastre – a Teutonic goddess of spring and fertility. The early Latin name for the week of Easter was hebdomada alba or “white week,” while the Sunday after Easter day was called dominica in albis from the white robes of those who had been newly baptized. The word alba is Latin both for white and dawn. The German plural word for dawn is ostarun. From ostarun we get the German Ostern and the English Easter. The hare is an ancient symbol of fertility and for the moon. The date of Easter depends on the moon. This may have helped the hare to be absorbed into Easter celebrations. Bunnies live in burrows and when they come out of their holes in spring, it reminds us of Jesus’ empty tomb. Easter baskets were originally like bunny nests in Germany. Bunnies, pastries, and candy also came to the New World with German immigrants. The Easter lily is another new addition to Easter celebrations. Throughout the years, painters and sculptors used the white Madonna lily to symbolize purity and innocence, frequently referring to Mary. The Easter lily is a rather new addition to Easter celebrations. In the 1880s, Mrs. Thomas Sargent brought Bermuda lily bulbs to Philadelphia. A local nurseryman, William Harris, saw the lilies and introduced them to trade. They were easy to force into bloom in time for the Easter season. The Bermuda lily, now the familiar Easter lily, spread throughout the country. Easter means faith and family. As the children grow older, Easter egg hunts, colorful baskets full of candy, and all the commercial festivities aren’t as important to us. We prepare for Easter with Mardi Gras pancake dinners, Ash Wednesday fasting, and Lent daily reading. Holy Week begins with palms waving, processions and parades, shouts of “Hosanna!” and celebrations, remembering Christ’s entrance into Jerusalem. Holy Week should be about inclusion into the Kingdom. Jesus wanted it that way and we have taken his idea of Kingdom as legalism – church attendance and excluding those who don’t look like us, talk like us, think like us. How do we express thanks and inclusion on this holiest of Christian holidays? Many churches offer Ash Wednesday service throughout the day or at least several times during the day, to accommodate busy schedules. There are special Bible studies during Lent. We read Bible and missionary stories every morning and evening the year-round, and I just choose different ones during Lent. When the kids were old enough, we sometimes attended sunrise Easter church services. I like teaching and discussing The Trinity. Visuals make it special for kids and Sunday school classes. Learning about and planting seeds are great lessons for children and I often tie in stories about our faith and the teaching of Jesus and saints. Resurrection Eggs are great visual tools for young children to understand The Stations of the Cross and The Passion. We’ve lived in many places and celebrated Easter differently with our friends, neighbors, and churches. Our Utah church held a large pancake dinner on Mardi Gras. Our neighborhood in Utah held a huge Easter egg hunt that was like trick-or-treating, with each yard throwing out or hiding candy and eggs and toys for all the children in their front yards. We still remember it fondly. The kids have never enjoyed large Easter egg hunts, so that’s an easy event to forgo. We love reading books about Easter – Jesus, bunnies, eggs, and springtime! We made natural Easter egg dye one year. It was fun, but not as vibrant as we would have liked. My husband and children don’t really like hard boiled eggs that much, so it’s wasteful to dye many eggs. We made cascarones another year and that was great fun! We like to learn about Easter traditions and celebrations around the world. Brunch is popular on Easter Sunday. We often have a lovely special dinner of lamb or ham on Sunday. I love deviled eggs! Since we lived in Germany, we make lamb cake – a light pound cake in the shape of a lamb, covered with powdered sugar. How do you celebrate Easter? It becomes really fascinating when you study world history chronologically and see how interconnected everything is, all the causes and effects. We use Tapestry of Grace for book lists, but I also peruse Ambleside Online and other lists for a well-rounded history curriculum. I want all sides and perspectives. I go to the library about every week and get what I can. I shop thrift stores, yard sales, half-price and used bookstores to get books we love to read again and again. We love Netflix and Amazon Prime for streaming. We sometimes view YouTube. We love making fun maps with salt dough (also here), cookies, or play dough. The Holman Bible Atlas comes in handy throughout this school year. See how we do history. We actually begin this school year with our family history. We make a family timeline and learn our family tree. Ancient history consists primarily of Egypt, Greece, and Rome. We also chronologically study other early cultures like Sumeria, Phoenicia, and Assyria along with China, India, and the Americas. Ancient Times is probably our favorite historical year. Make apple, chicken, or doll mummies. We celebrate Passover, Purim, and Hanukkah every year now. We visited an Egyptian exhibit in Houston our first year homeschooling. We’ve been to the Egyptian exhibits at the Vatican and Louvre, also Chicago and Cincinnati. We love natural history museums! We saw the Terracotta Army in Cincinnati. We visit Native American sites when we can. We visited Ireland and saw Tara and Newgrange. I’m still adding to my list. I love researching and learning with my kids. Sensory bins are a great activity for little ones. We used to have monthly and seasonal themed sensory bins. We also made a nice frugal light table out of a plastic bin and electric strand lights. My husband made a little table where I could fit in a plastic tub. I would gather materials from the dollar store and set out some spoons and scoops for the kids to play with loose parts. Sometimes, I would gather items to go along with a unit study, like cars, dinosaurs, The Wizard of Oz. Since I made sensory bins for my own children and know they have no allergies, it was no problem. For items for larger groups, I would make sure there were no wheat allergies or the like. Sensory play allows children to explore, discover, imagine, create, and learn – while engaging their senses. Sensory play can be used to help kids calm down. We often used a quiet sensory toy during read aloud time or while waiting to occupy busy little hands. They’re educational – helping kids develop important skills like language, emotions, fine motor, social, body awareness, science and math, and more. Sensory play is great for special needs! Many therapists use sensory activity with even adult patients. I saved packing materials like styrofoam and bubble wrap. Make sure you store your bins away from pets! My kids loved playing with the sensory bins until they were about 8! I decided to read this book aloud to my three kids as a bedtime story. It became so good that we also began reading a couple chapters each morning. I wanted to read ahead, but I was a good mom and waited to read it with my kids. Lots of fun little details made us sit up straighter and listen more closely. My husband’s name is Aaron and his best friend in school was named Jamie, just like two characters in the book. Big sister is named Lizzie and loves trivia, like Lizzy in the book. We became really sympathetic with the main characters. They were lively, funny, real. The teacher, Mr. Earle, is great and my homeschooled kids really appreciate him. We have a responsibility to help others. The Universe, Spirit, strives to help us love others, help others, connect to others. When we pray, wish, hope, dream…we don’t know how, why, when, or even if, we will be answered. We had some great family discussions about hope, dreams, how we can help others, how we can pay attention to others’ needs. How we can be grateful in all circumstances. Scholastic’s A Drop of Hope typically retails for $16.99. The book, A Drop of Hope, is a stunning heartfelt novel for kids ages 8–12 that offers empathy and hope. My kids are 9, 12, 13. I am 43. We were all was absolutely delighted. • Told from multiple points of view, A Drop of Hope is a book that shows how a single act of kindness can create waves and remind us how powerful a little hope can be. • A hint of magic, a missing treasure, and unexpected friendships will appeal to both boys and girls. • The characters are so real, they jump off the page, making it a great book for family read alouds. • “A promising first novel that delivers its own measure of hope.” – Booklist Award-winning authors love this book! Keith Calabrese is a screenwriter known for television films like My Favorite Wedding on the Hallmark channel. A Drop of Hope is his debut novel. He holds a degree in creative writing from Northwestern University. A former script reader, he lives in Los Angeles with his wife, kids, and a dog who thinks he’s a mountain goat. We longed to stay in Germany longer, but the Air Force sent us home anyway. PCSing to Germany was so exciting. PCSing back to the States is stressful and seems to take a lot longer. An OCONUS (Outside Continental US) move is a little more complicated than a CONUS move. Organize your important papers and put them in a safe place to travel on your person as you PCS. Keep your PCS binder handy and organized with dividers, tabs, pockets. We have a nice huge one that zips closed. The military member has lots of paperwork to complete. Be patient and helpful. Get clear with all German accounts, businesses, taxes, banks. You don’t want an international incident. There are checklists for outprocessing for the military member to complete to help ensure this is taken care of well. Exchange or deposit Euro (for easy transfer) at the KMCC BX community bank. Most contracts – cellular, Internet, and TV accounts must be given 90 days notice! Make sure you take care of this in time for no penalty! We went through the Comm Shop for cell service and he is super helpful. Ramstein KMCC (BX mall) also has two shops that can assist. You have to show up in person to cancel your utilities if you live off base. Do all the same things you do for all pack outs. Purging, colored tape, setting aside HHG (household goods) and unaccompanied baggage and professional goods from what you’re taking with you to TLF and on the plane ride. We chose to pack out as early as possible. This way, we will have our goods ready and waiting to be delivered to our new house, whenever we find one. It took two days for our packout. It was amazing. At least 3-4 of our 8-9 packers spoke perfect English and had a great sense of humor. It eased my mind. They loved the sub sandwiches, chips, and Gatorade we bought from the commissary for them for lunch. What’s up with you, America? It typically took four days to pack out during our CONUS moves! We requested temporary furniture from FMO for the month we’re still in our rental house. We each got a bed frame, mattress, and nightstand. We got a dining table with six chairs, sofa and two chairs for the living room. We borrowed a dish pack from the Airman’s Attic with rather nice Wearever ceramic pots. We borrowed some bedding items from a co-worker. We kept some towels, pillows, and sleeping bags. I kept some kitchen items that I love and use every day. We’ll either throw out, donate, or mail the items to ourselves in the States when we go to TLF. Take pets to vet to get all necessary vaccinations up to date and travel forms completed, usually within 30 days of travel. Contact Patriot Express or commercial airline to ensure weather and temperatures will be predicted safe to travel. We sent our pets ahead to my parents in Atlanta via Lufthansa in Frankfurt so it was easier on everyone the day we PCSed. We had a huge delay so I do recommend this if you have a friend or family member willing to pick up pets and pay the customs fee. Otherwise, pets travel Patriot Express from Ramstein to BWI (Baltimore-Washington International Airport), then to wherever you go next. It’s stressful on many animals. We sold my husband’s German car early. I recommend getting your POV (privately owned vehicle) professionally cleaned and detailed. They’re very picky about condition and cleanliness and will inspect your vehicle top to bottom, inside and out, with flashlights for about 2 hours, noting every single flaw. Rentals are very expensive in the Ramstein area, so we kept our minivan until the last possible moment, until we moved into base TLF (temporary housing facility). My husband then had to rely on coworkers to get around to do his outprocessing. The kids and I walked around base. The Housing Office provides a letter to give to the landlord to terminate the housing contract. The landlord has six months to return your security deposit! That’s really tough and they really don’t want to return any money. We had to fight for every penny and didn’t get it all back for petty reasons. You’re entitled to only 10 days in Temporary Lodging Facilities (TLF) OCONUS. It wasn’t too difficult without a vehicle. Everything is pretty walkable on base. It was a long journey from Germany to Baltimore. It was a really long time before we could even board our Patriot Express. They were waiting on a deployed group to board the plane and there were other holdups. We didn’t arrive to BWI until what felt like 2 AM. Getting through customs was another long wait, with the whole plane lining up and snaking through cordons to have orders, IDs, passports checked. We had booked a hotel room, expecting to arrive mid-afternoon. We had time to shower and get some of the complimentary breakfast, then it was back to BWI for our connecting flight. It’s really hard to move back to the States when you love Europe and long to stay to travel more, experience more culture, and eat wonderful food. It’s really loud and bright in the USA. I really miss good bakeries. It took me a couple years to feel used to being an American in the USA again. Sometimes, it’s still hard and I get surprised or shocked by something I see or hear. We try so hard not to appear or sound braggy about our travels. This is just our life. We made hard choices and some sacrifices. We were very fortunate and we used our time and resources wisely. It’s also difficult to explain how it is to travel in Europe so frugally and widely compared to how vast and expensive the USA is. We really loved our 3 years in Germany and have so many wonderful memories. Now Shipping Around the World! 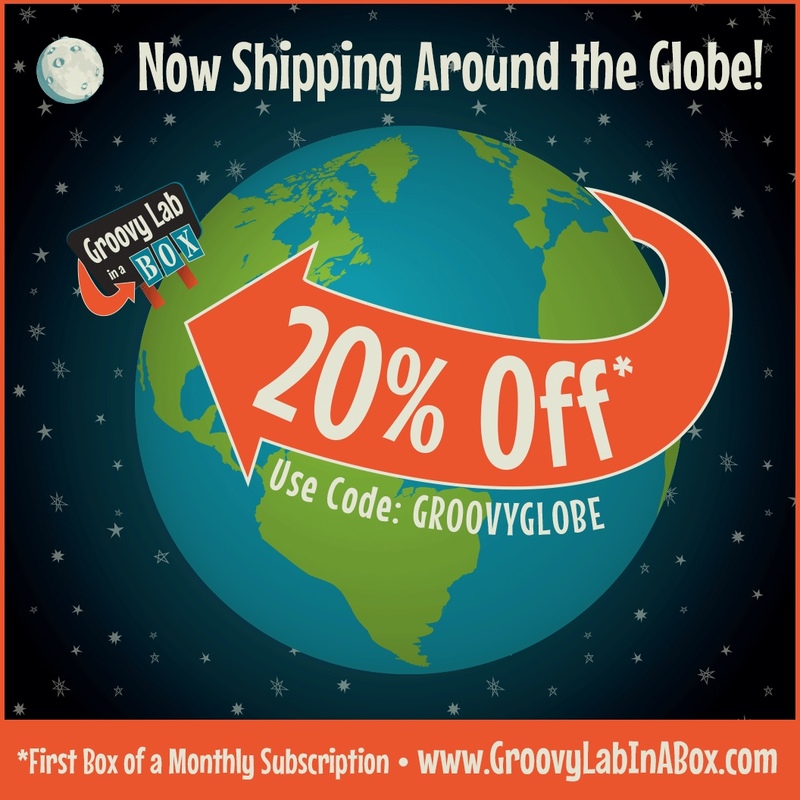 Engineer some quality time with STEM – 20% off your first box of a Monthly subscription. 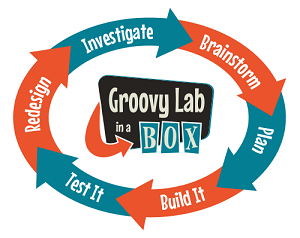 Groovy Lab in a Box will quickly turn your kids into true STEMists through hands-on inquiry experiments that teach Science, Technology, Engineering, and Mathematics and have FUN! Presented in partnership with POPULAR MECHANICS Magazine for KIDS – Award Winning Hands-On STEM Fun! Presented in Partnership with Popular Mechanics. Science fun for Ages 8+. 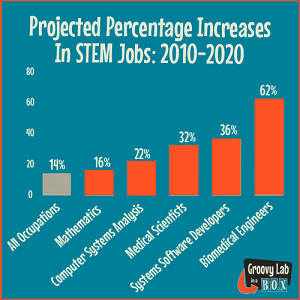 Projects for kids to get hands-on with STEM. Everyone who got guilt trips from Marie Kondo’s Netflix series. My kids are growing up and outgrowing toys and homeschool curriculum. We donate most of our used stuff to thrift stores. One year, we had a huge yard sale. Now, I try to sell nice items online for a little extra cash. Typically, these online yard sale transactions are done in a public space with cash in hand. Big furniture items are usually viewed in home. I like to have someone with me for exchanges. Always be safe! Occasionally, items are shipped with shipping extra. Money can be exchanged through Facebook or Paypal. I seldom go this route because it’s extra stressful to pack and ship and I haven’t received the money twice. Some items are banned for resale, such as firearms, mattresses, car seats, baby formula. Some groups or sites don’t allow handmade items. Also, these online sale sites are not the place to promote your personal MLM or home business. Know the lingo. Be kind. Be on time. Be the seller/buyer you would want to work with. P/U = Pick-Up. This is usually followed by the location and/or time to meet to sell an item. PPU = Pending Pick-Up. The item has been agreed to a time and place for pick-up. This may change if someone cancels, changes their mind, or doesn’t show. Bump = Sellers use this term to comment in their own listing and “bump” the item back up to the top of the feed, to give it more exposure. There is usually a rule about how often an item can be “bumped” – typically once a day. ISO = In Search Of. People often ask for specific items in groups. OBO = Or Best Offer. The buyer would consider other reasonable offers. Next = People use this to let the seller know they are interested in the item if someone has already shown interest before them. NWT = The item is new with tags. NWOT = The item is new without tags. Interested = What potential buyers typically write in the comments of your post if they want to buy your item. Sending PM = Sending Private Message. This is how a potential buyer communicates with you as a seller. Typically, since these people will not be your actual Facebook friends, any messages from them will be filtered into your “other folder.” This is found at the top of your Facebook page, under your message folder. Porch pick-up = Usually, the seller leaves the item on their porch and the buyer places the money in an envelope in a hidden spot. Or vice versa. I don’t like doing this! Know the group or page rules. Follow the rules. Lately, people don’t even comment on the post, but immediately private message to “get in line.” It sometimes becomes difficult to keep track of message order on a popular item. I often just reply to messages with a number to help keep things straight. I’ve had some people get frustrated with this, but it only seems fair. Occasionally, I have someone who wants to rush the process and claims they will pick up the item right this second. It’s important to post if you have pets, smoke, or have other circumstances that could cause allergic reactions in sensitive people. Be prompt in communication. Answer questions in a timely manner or you’ll lose the item to the next commenter or messenger! Please don’t ask stupid questions and waste everyone’s time. If you’re not familiar with a product, do your own research. Don’t ask the seller to give you the rundown on the item’s pop culture, history, or random trivia. Unless it’s a big furniture item or a pricey collectible or antique, you just have to take your chances. Don’t ask to come “see the item” without bringing money or intending to purchase. It’s just rude. Park in an area that’s not very crowded. Tell the color and make of your vehicle in a message so the seller can find you. Show up on time to purchase or sell an item. My son will never let me live it down that we once waited 45 minutes for a buyer who never showed. He kept messaging that he was stuck in traffic, but apparently, he was just a troll who never wanted the item anyway. Have exact amount of money that is requested. When posting your item for sale, be honest about its history and the condition. Be prompt replying to messages. Be available to meet up to sell. Have fun! It’s kind of exciting getting some cash for items no longer needed or wanted. And it’s really great finding a good deal for something you want! Do you have any tips for online yard sales? What better way to kick off the week than with a Stella & Dot sale? Stella & Dot is excited to announce a BOGO 25% off necklace sale! Promotion: For a Limited Time, Buy a Necklace and Get 25% Off the 2nd! Stella & Dot and Dress for Success have teamed up! A partnership was born out of a shared mission to empower women through economic independence, a network of support, and the transformative power of looking as good as you feel. Give another woman the opportunity to start a new chapter when you launch your new business. *Beginning February 26th, 2019 through February 28, 2020 11:59PT, for every customer who becomes a Stylist and purchases a Stella & Dot starter kit, Stella & Dot will select $50 in original retail purchase price product to donate to the Dress for Success charity organization. Sign-up as a Stella & Dot Stylist for $99 today! For a Limited Time: Buy a Necklace and Get 25% Off the 2nd at Stella & Dot!